Launching a career in a new field can be daunting. It takes a lot of guts to make the leap, and most won’t consider it without plenty of research. That’s why today I’ll be covering some information that’ll help you feel more confident in pursuing that coveted career in UX design, from how much you’re likely to be paid as an entry-level UX designer to the growing demand for UX designers across the board. Like so often happens when it comes to job salaries, there isn’t a great deal of transparency or consistency, even for a profession like UX design. It’s usually better to go with a range, which is why we’ve consolidated some numbers from a few different online surveys below. As a junior UX designer in the US, you’ll already be earning more than the national average salary, which at the end of 2017 stood at around $45,000. The same can be said for Canada, with junior UX designer salary ranges exceeding the national salary average of $51,000 in 2017. Take a look at this report for more in-depth information about the salary levels of creative jobs within tech. As a junior UX designer in the UK, you can expect to surpass the national average salary, which was around £29,000 at the end of 2017. 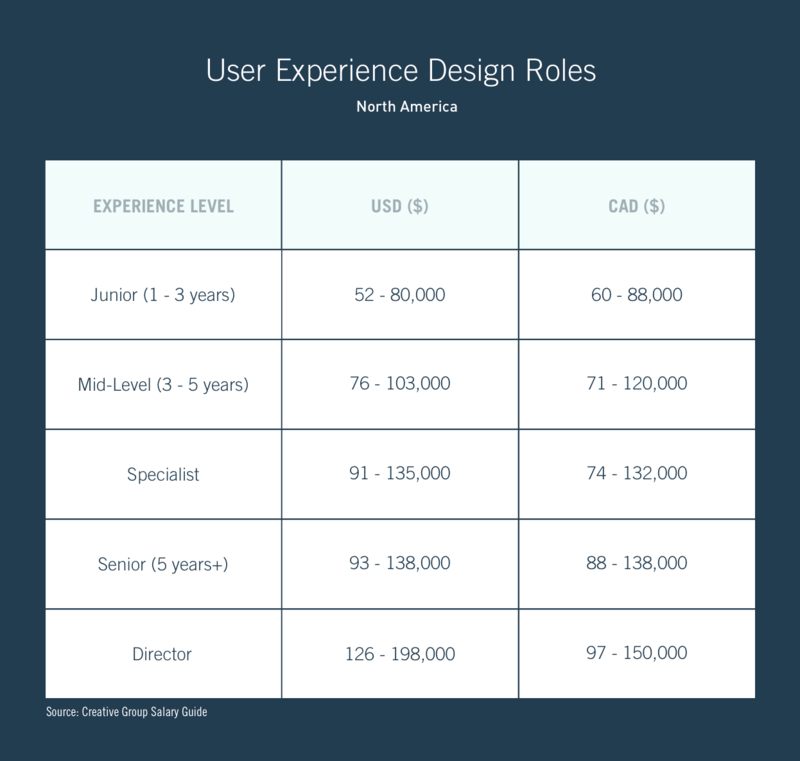 For a more comprehensive study on global salary ranges for UX design roles, check out the UX designer Salaries Global Survey, which gives you a good indication of what the starting salaries are for UX roles in your desired location. For specific and up-to-date information on salary ranges in your area, you can also head to Payscale or Glassdoor. 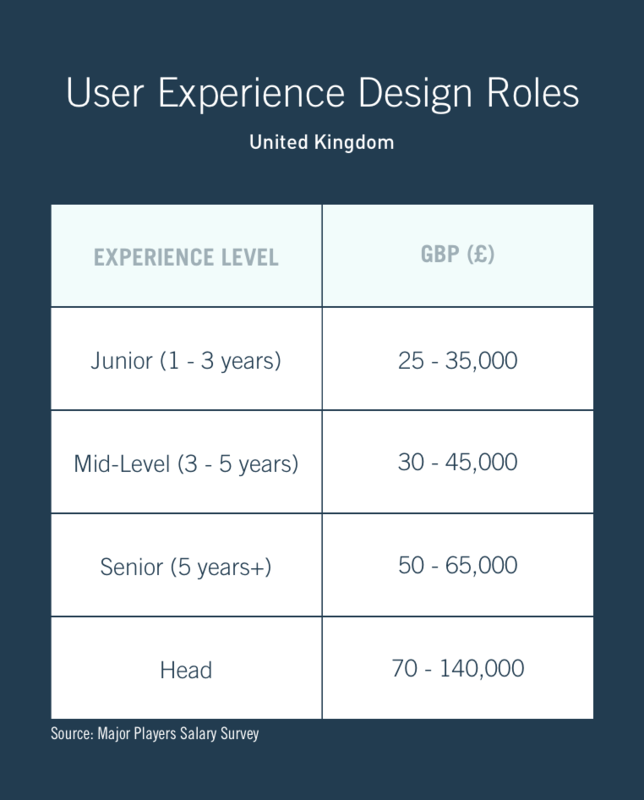 At the time of this writing, a simple search for UX designer salaries in London on Glassdoor reveals that the average expected salary is over £40,000. That’s quite the impressive earning potential! But what about the demand? After all, even the most high-paying job won’t deliver you much value if there aren’t any vacancies. Let’s see how it fares for UX designers. What’s The Level Of Demand For UX Designers? The demand for UX designers continues to increase as more and more companies begin to recognize just how important great design is to the success of their site, app, service or product. If users have a great experience with a product, they’re more likely to use it to achieve their goals, which, in turn, will keep them coming back to it. It also increases the likelihood that they will recommend it to friends, family and colleagues. The latter is especially important these days. Few businesses are able to argue against the power of the user review, after all. As users become more sophisticated in evaluating their experience with a product, companies must rise to meet and exceed that expectation. 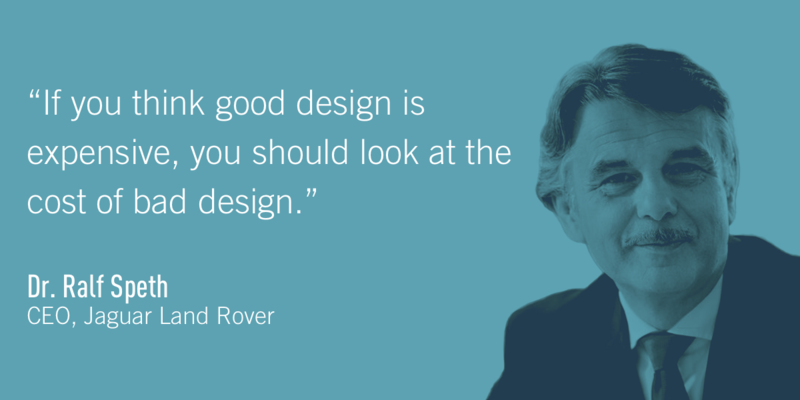 In doing so, companies practicing good UX have a competitive advantage, and will continue to spearhead industry trends. This has led to more and more companies placing user experience and UX designers at the forefront of their design innovation, helping them improve the overall user experience of their products and, ultimately, leading to a significant ROI from UX design – you can get a detailed overview of the ROI of UX design in our whitepaper. Emsi’s job posting analytics (based on data from tens of thousands of job sites) show that there were, on average, 4,200 UX jobs posted per month in 2016. CBS news even claimed that being a UX designer was one of the top jobs to have in America in 2017. 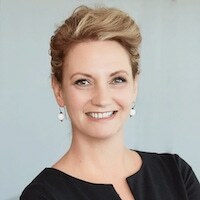 In 2017, Adobe conducted research on the demand for UX designers in the U.S. Out of 500 design department leads and HR managers, 87% said hiring UX designers was a top priority; 73% said they planned on doubling their UX personnel over the next 5 years, while 40% said they planned on doubling their UX hires over the next year alone. That’s a lot of UX designer jobs! So How Do I Become A UX Designer? You don’t need to have professional UX experience to begin work on your portfolio. There are a couple different routes you can take to get started right away, even before landing that coveted job. Before you take the quiz at the end of this tutorial and progress to the final test, let’s take a look at a few ways you can continue learning UX design. You’ll also find UX designer meetup groups and workshops all over the world. Try doing a quick search to see if there are any near you. No matter what you’re trying to learn, doing so alone can be a struggle. With no one to guide you or offer support, it can be hard to know what to put in your portfolio—or if your work is even portfolio-standard. A more systematic approach led by someone with experience in the field is of greater benefit and can get you to where to need to be at a faster pace. That being said, self-study is still a viable option, especially as an affordable way to simply discover more about UX design. Much like self-study, you’ll be largely going it alone if you follow this route. You’ll have no one to help you when you get stuck, or keep you motivated towards your career goal. While you can find advice on the Internet, the support you get will likely be conflicting (there are often no right or wrong answers in UX design) and unrelated to your learning pattern, unique strengths, and career goals. Non-mentored courses are also very rarely project-based, so while they can be informative and a good way to get started in UX, they’re unlikely to help you develop your professional UX portfolio. When it comes to structured programs, you’ll come across three types: in-person, blended, and online. In-person programs operate much like a regular school, where you’re required to attend in-person. Blended programs are more flexible—typically, half of the instruction will be online with the other half in-person. Lastly, online programs are 100% online, with no in-person attendance required. For career changers and individuals juggling multiple commitments, online programs with ongoing mentorship and real-time check-ins are the best option. They’re not only flexible but affordable as well, and you don’t have to stop everything you’re doing to pursue your studies. You can still keep your job, spend time with family and friends, and work on personal projects while taking the first steps towards a new career. With CareerFoundry’s Certified UX Designer Course, you’ll have all this and more, including a project-based curriculum designed and regularly updated to teach you the job skills required by employers. From day one, you’ll be joined by a team of seasoned professionals who will offer you unparalleled support throughout your course, job search and job start. Your new team will consist of a UX design mentor with over eight years of industry experience, a UX design tutor with over two years of experience, a career coach, and a student advisor. And of course you’ll also have access to the student and alumni communities. You’ll begin working on your first portfolio project right away, and by the end of the program, you’ll have everything you need to start your career in UX. To summarise, we’re essentially a full-service UX bootcamp—providing absolutely everything you need to go from complete beginner to professional UX designer—so no more directionless, frantic googling for tips, tutorials and resources.